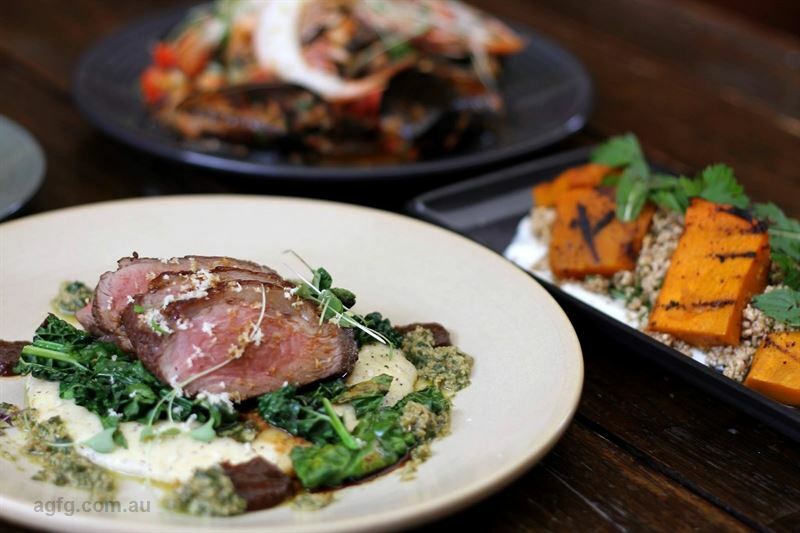 300 g Stirling Ranges beef rump, sweet potato, rocket salad and peppercorn sauce. 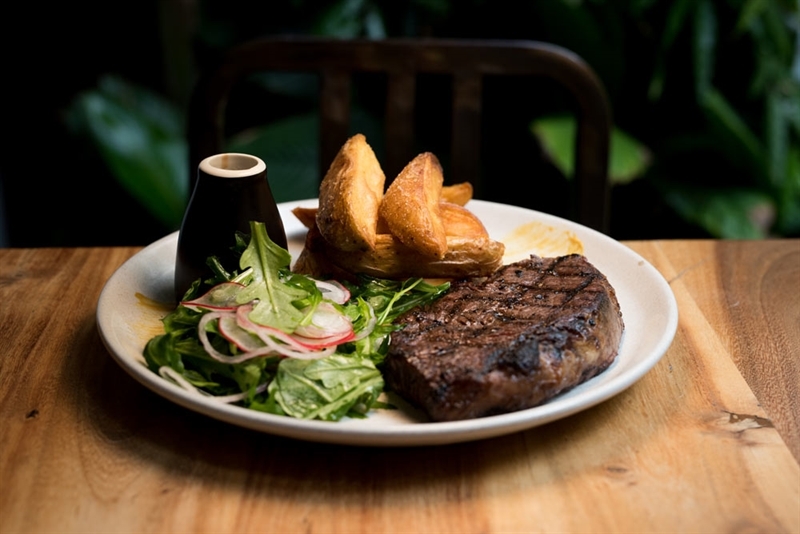 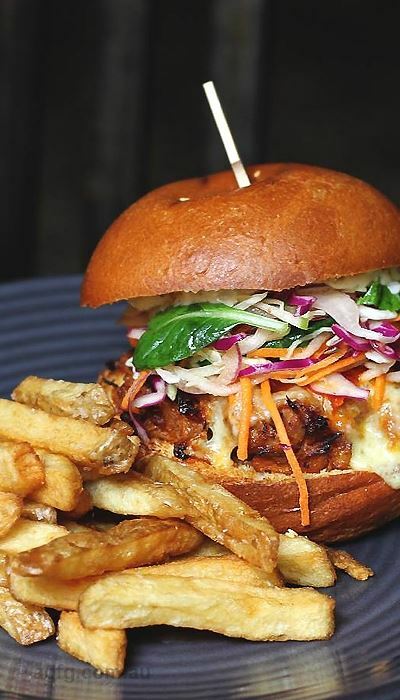 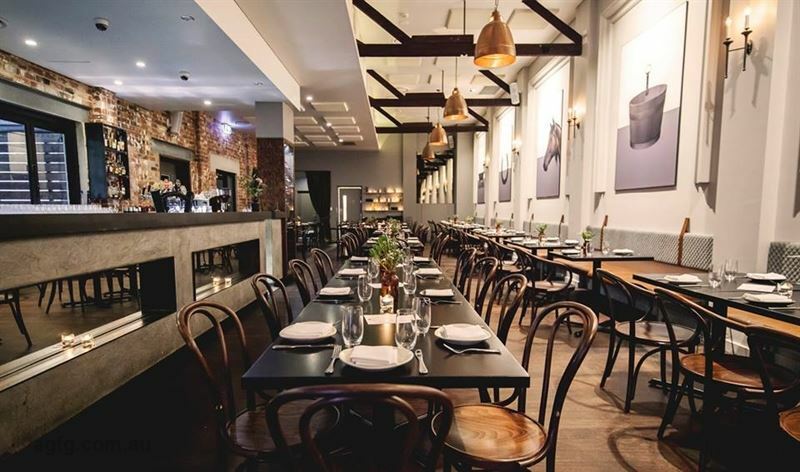 Situated at the end of a Hay Street laneway, The Stables Bar features two levels of dining experiences, including a sophisticated outdoor bar with a panoramic view of the city skyline. 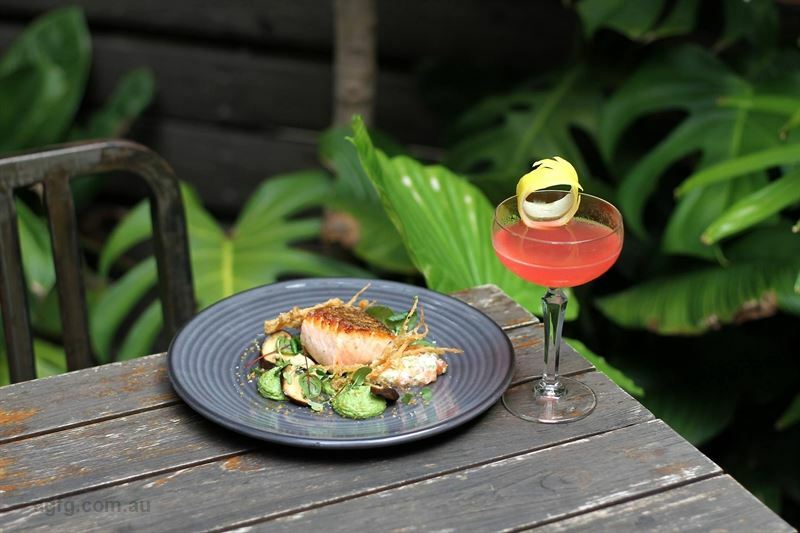 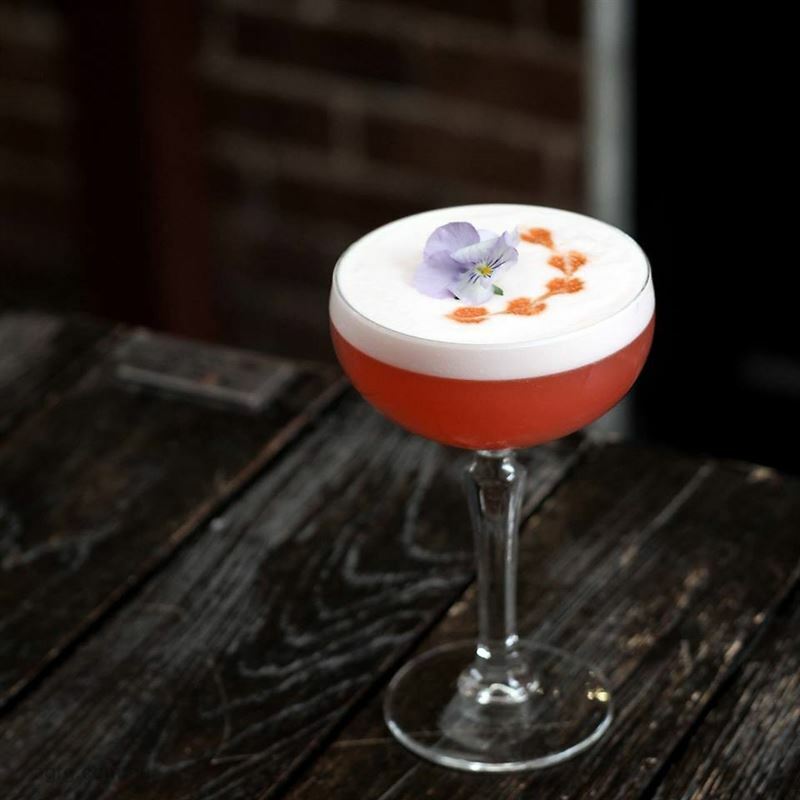 Enter the cobblestone courtyard to be transported away from the bustle of Perth CBD and into a landscaped oasis, where a rich past seamlessly blends with modern styling, making for an ideal environment to socialise over inventive cocktails. 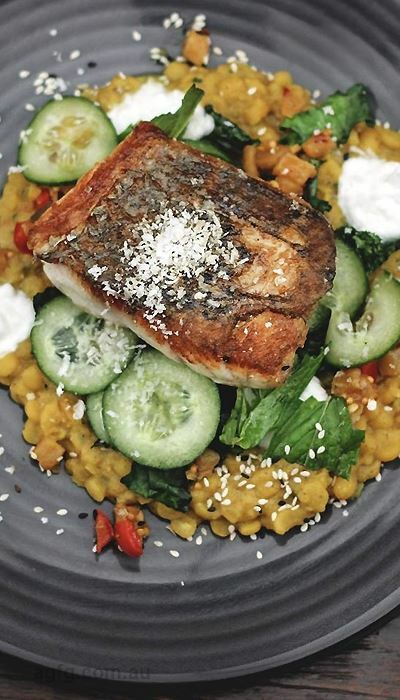 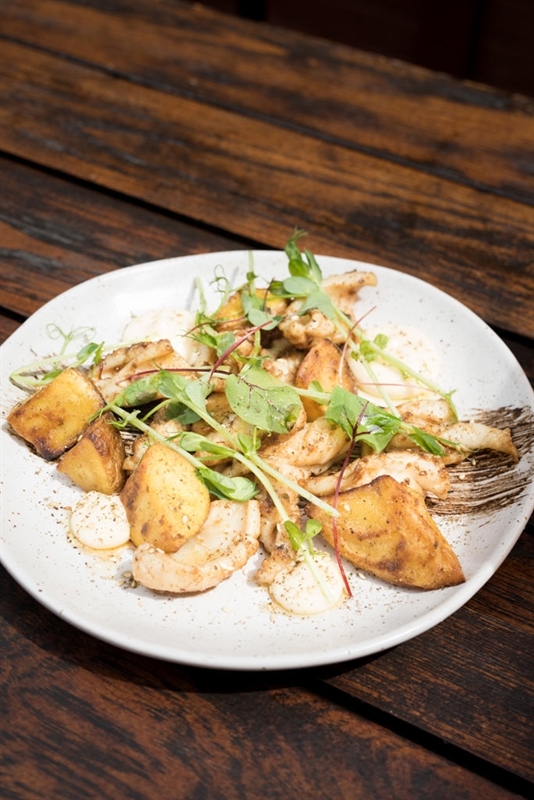 The menu is just as current, with a nod to comfort foods plated with flare. 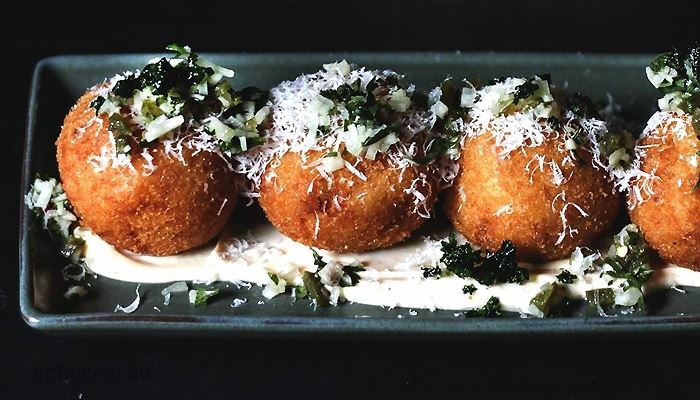 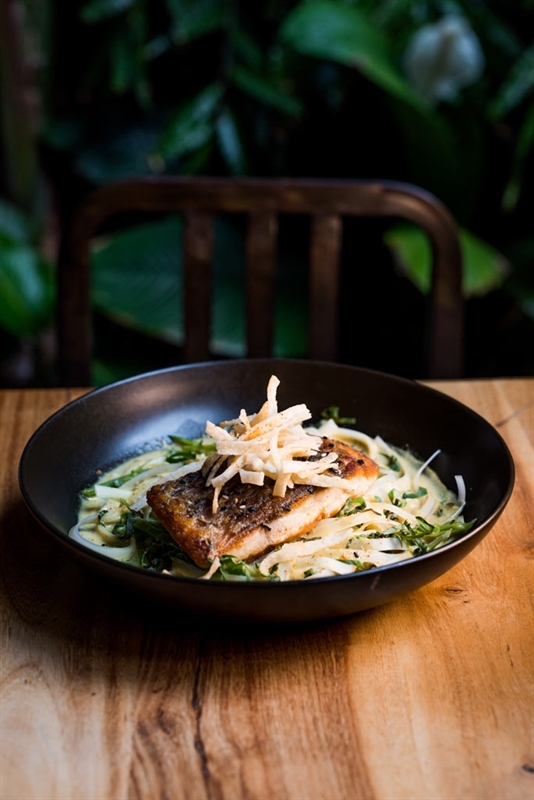 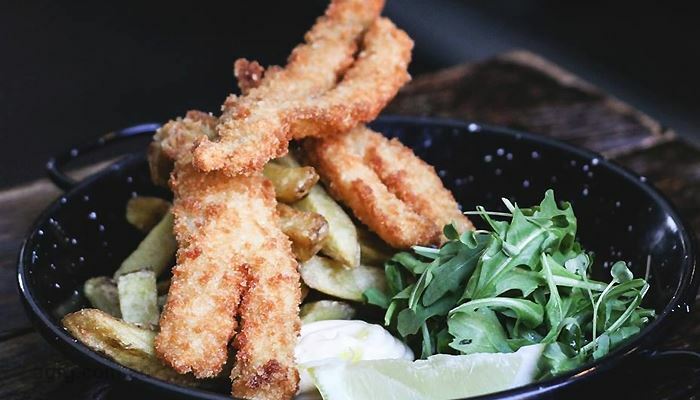 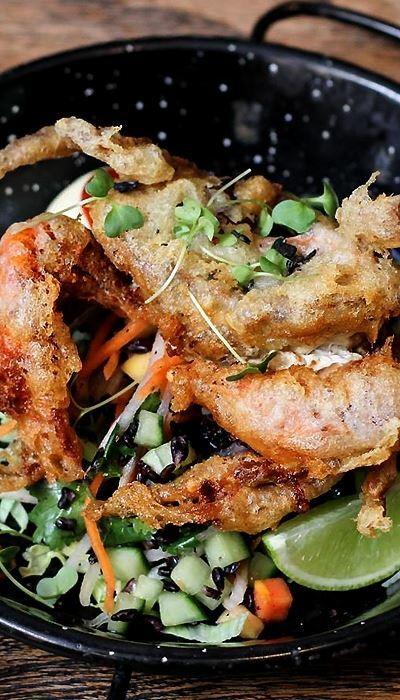 Opt to sample smaller plates of mac and cheese croquettes, shaved Parmesan, truffle oil and rosemary, or Korean spiced squid, bok choy, spring onion, tomato, coriander and crispy shallots; before moving onto a heartier main of roast pork belly, black garlic, apple puree and shaved fennel slaw. 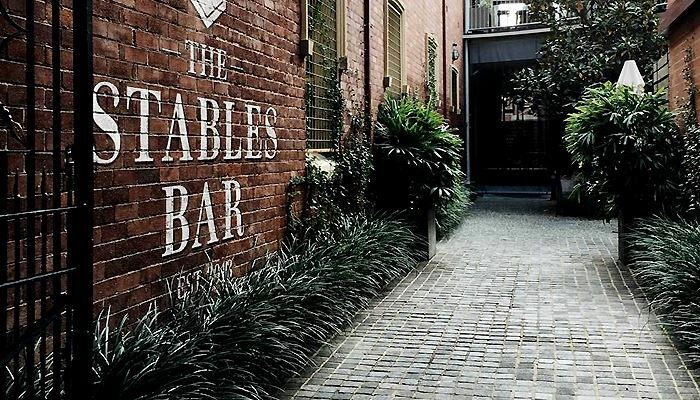 The Stables Bar is an idyllic space situated in the heart of the CBD at the end of a cobblestone laneway off Hay Street. 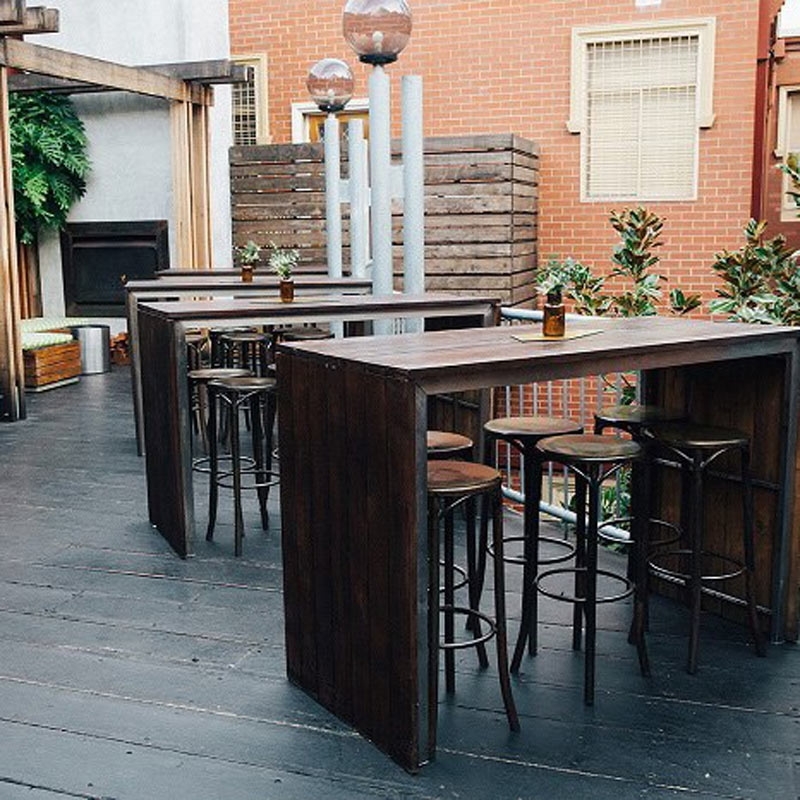 Featuring two levels of bar and dining spaces, including an outdoor balcony and views of the city. 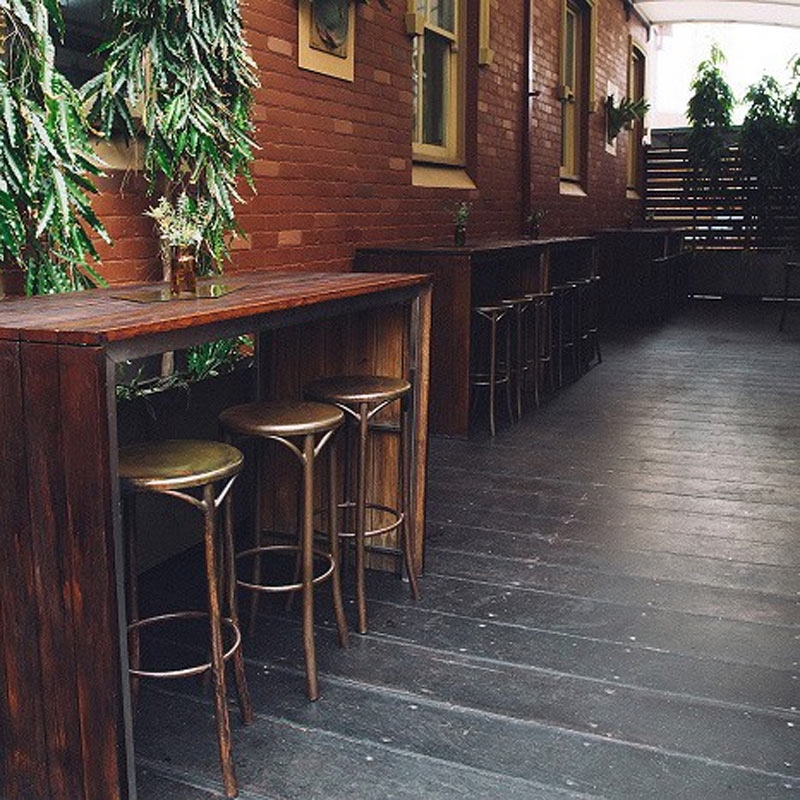 The Stables Bar will transport you away from the hustle and bustle of the city. 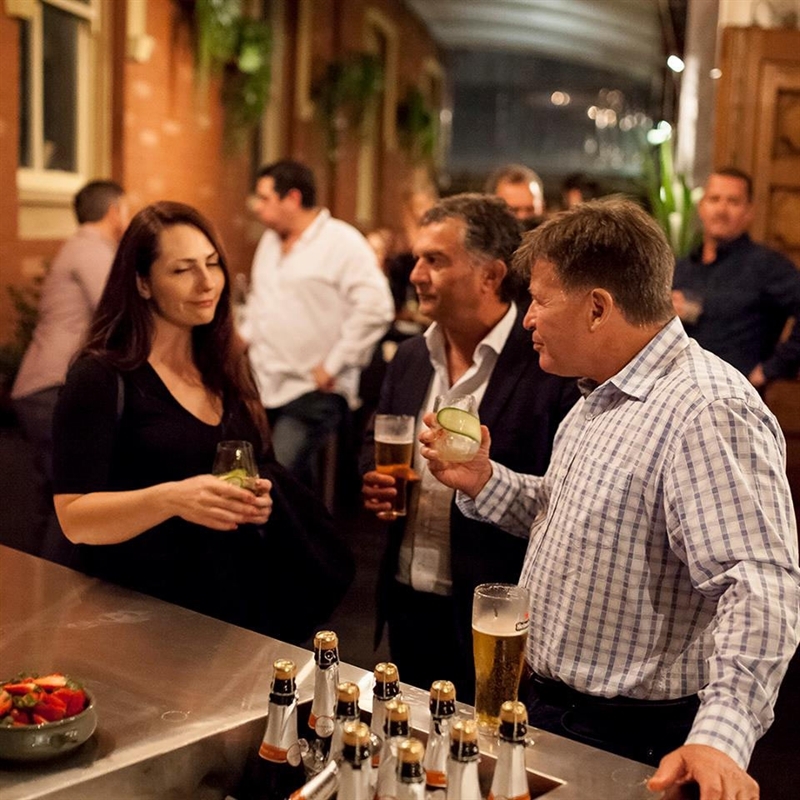 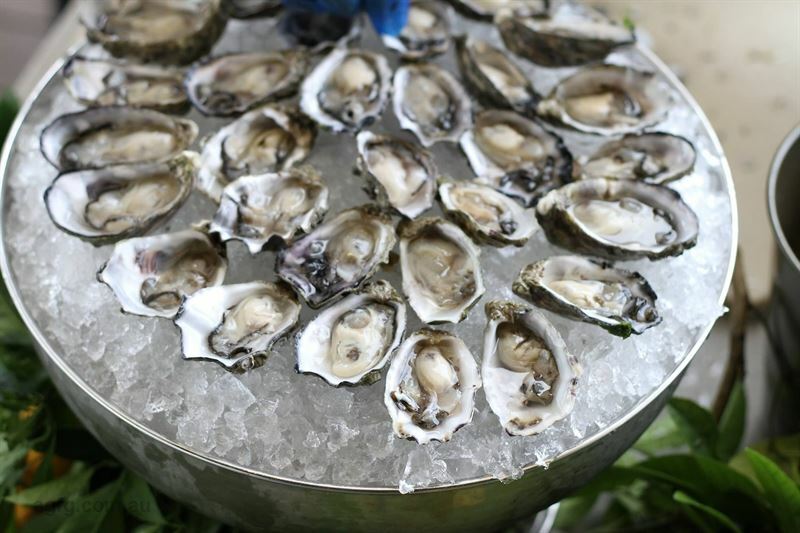 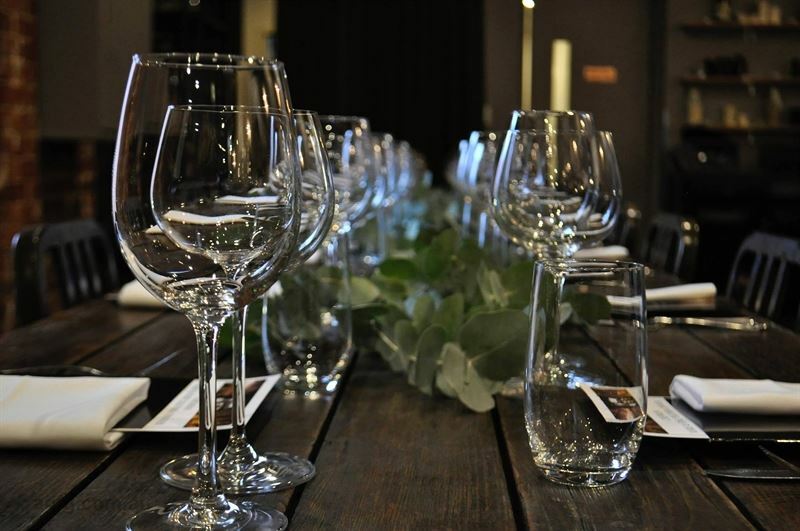 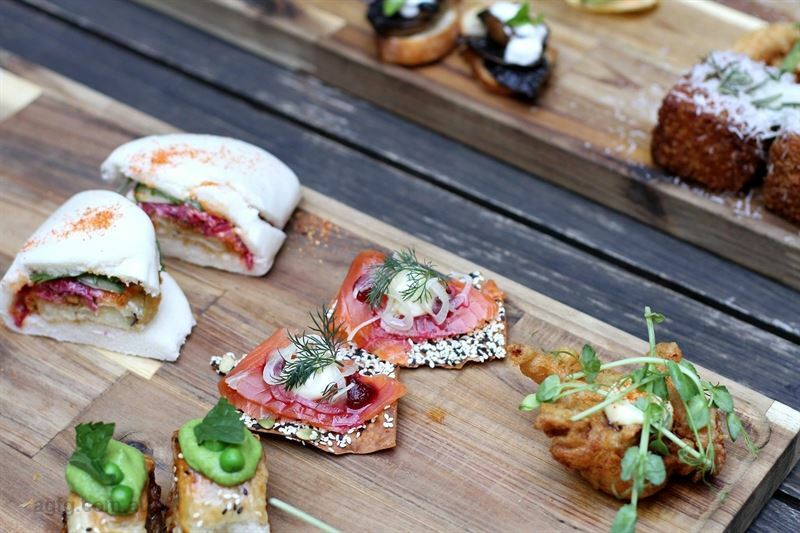 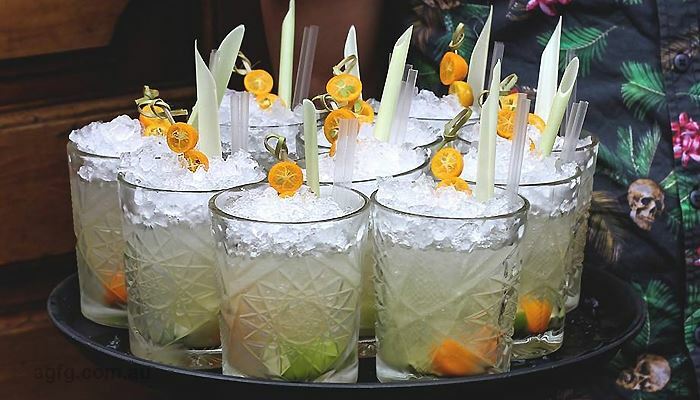 The Stables Bar food and drinks menu focuses on seasonal produce and versatility with a commitment to friendly and professional service making it the solution to the question of where to hold your next city event.